Cape Town is one of the most romantic cities in the world, with its spectacular sunsets, mountain- and sea views, thrilling adventure activities, and world-class restaurants and accommodation. There are many things to do on honeymoon in Cape Town, so read on to discover some of the most romantic activities, accommodation and restaurants in the city. The Lord Charles is set in the exquisite Cape Winelands, overlooking the Helderberg Mountains and the Atlantic Ocean. The hotel has modern furnishings and a great restaurant too. The Taj is located in the heart of the Mother City. It’s luxurious and elegant, and is the place to stay if you want to be soaked in lavish grandeur and opulence. There are also two great restaurants, Mint and Bombay Brasserie. Village n Life offers accommodation for all budgets in some of Cape Town’s most picturesque locations, including the V&A Waterfront, Mouille Point, De Waterkant, and Camps Bay in Cape Town, as well as the outlying towns of Hermanus and Langebaan. Browse their website to see their unique and varied options, including self-catering options which are great for privacy on your honeymoon. The Radisson Blue Hotel and Residence is located right in the heart of the city, and rooms have stunning views of either the mountain, harbour, city, or ocean. You can enjoy a drink or light snack and a dip in the pool to cool off in the summertime at the Ghibli Bar and Pool Terrace. The Sea Street Bar and Lounge serves great cocktails and food. While you might be freshly stocked on rings after your wedding, there’s no reason not to spoil your love on honeymoon too. Cape Town’s conflict-free diamonds make the perfect gifts, whether on a chain, ring, or bracelet, and there are also high-quality platinum jewellery products available. Shimansky is the home of world-class jewellery, where you can find a truly special and unique piece for your love. The impressive showroom is conveniently situated in the iconic V&A Waterfront. Their jewellery has adorned the likes of Charlize Theron, Christina Aguilera, Vera Farmiga, Bill Clinton, and South Africa’s number one icon, Nelson Mandela—so you know you’re in good company. Diamond Works offers the unique experience of watching diamonds be cut over a glass of sparkling wine. Browse together, or visit one of their Cape Winelands stores nestled in the heart of Stellenbosch and Franschhoek for a bespoke experience. 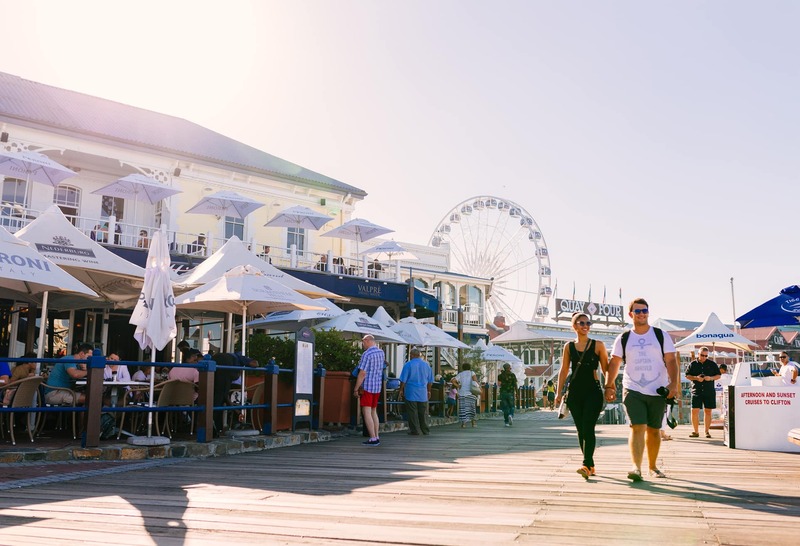 The Waterfront is Cape Town’s premier shopping destination, where you will find luxury gifts, boutique clothing, leather goods, and just about any item you can imagine in one convenient location. Whether you’re looking for books, African souvenirs, diamonds, clothing, skincare products, or even tin-can guitars—the Waterfront has what you’re looking for. Groot Constantia is one of the oldest vineyards in Cape Town, set on a huge estate with great views of the vines and False Bay. There are two great restaurants on site: Jonkershuis and Simon’s. Jonkershuis serves decadent breakfasts and lunches, as well as traditional Cape fare, with seating under the old oak trees outside or next to the fireplace indoors. Simon’s offers relaxed Al Fresco dining and special outdoor picnics. Bukhara is where you’ll find some of the Mother City’s best Indian cuisine. The marble floors and sophisticated décor invoke the opulence of a classical India far removed from the glitz and glamour of Bollywood. The Bombay Brasserie treats its guests to only the finest in Indian dining, with beautifully prepared meals made from fresh, traditional ingredients. 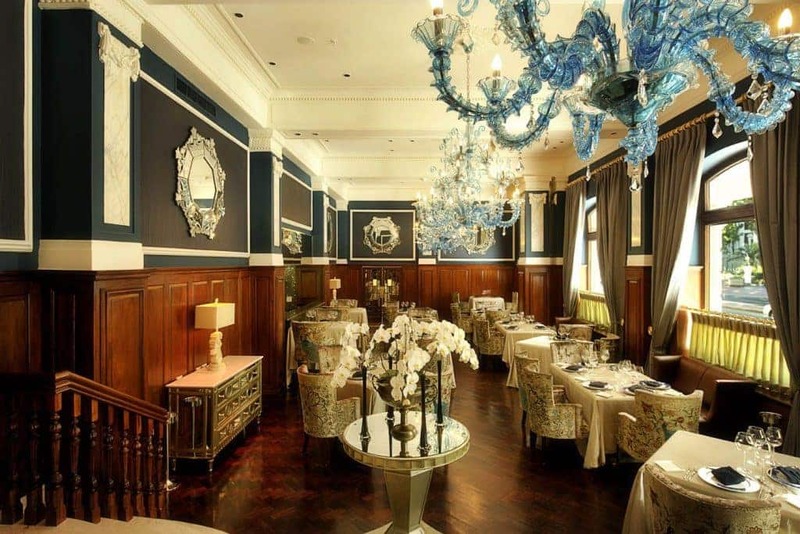 The restaurant is located in Cape Town city centre on the buzzing Wale Street, but it’s actually been modelled on its namesake, the original Bombay Brasserie in London. Harbour House has some unrivalled views of the Indian Ocean, overlooking the harbour at Kalk Bay. When the swell is high, sometimes the waves crash right up against the glass, while on calm days seals can be seen frolicking in the water below. Pair a delicately flavoured seafood dish with some fine local wine, and let the views do the romancing for you. For some award-winning fine dining, head to the Greenhouse at Cellars Hohenhort. All dishes are inspired by local produce and reflect the multi-cultural flavours of South Africa. It makes for an extravagant romantic evening, and the experience is sure to leave you both giddy. The kitchen’s unique creations change seasonally and rely on the availability of only the freshest produce, very often from the Greenhouse garden. La Colombe has consistently been among the top 10 restaurants in the country and has recently been voted the 7th best restaurant in the world. This is where fine-dining is a multi-sensory experience. The flawless food pairs with excellent wines, in an enchanting setting overlooking the Silvermist Wine Estate. This is for those couples who want something truly unique and special. There’s even accommodation on the estate, and delicious wine sold right there, so you wouldn’t have to leave your romantic haven for anything. 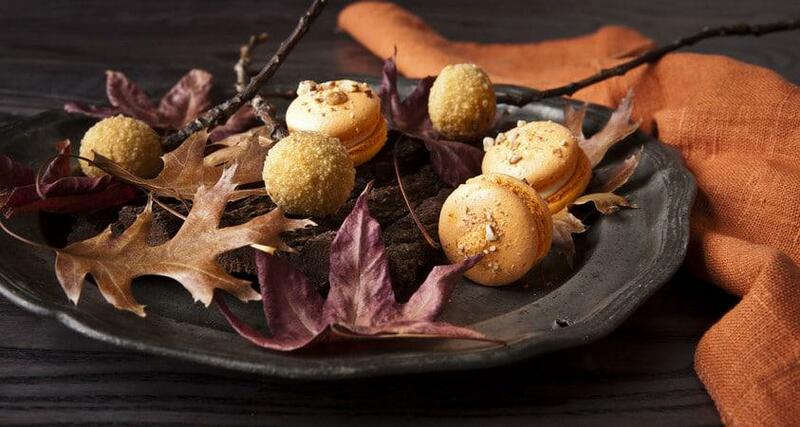 Camphors is another unforgettable fine-dining experience, located on the beautiful Vergelegen Estate in Somerset West. The restaurant overlooks rolling lawns and the towering trees from which the restaurant takes its name. The menu is constantly changing to make full use of fresh, seasonal ingredients. The view is stunning, the staff are happy to accommodate special requests, so you can tailor your meal for the honeymoon experience. Spend the afternoon out at sea with your partner and some of the Cape’s most incredible marine creatures. From whale-watching and shark cage-diving to snorkelling with seals, there are endless magical and unforgettable honeymoon moments awaiting. Treat yourself and your partner to a luxurious spa day. Cape Town has some fantastic world-class spas, where you can unwind and prepare your body and mind for the honeymoon activities that await you. Cape Town has no shortage of stunning attractions, whether you’re after wildlife, vistas, mountain, forest, historical attractions, beaches, or other natural wonders. Take the City Sightseeing bus for a day’s sightseeing, and don’t forget to purchase your City Pass for fantastic discounts on all the city’s top sites.